SHEEP producers needing help managing ram selection and progeny data and using digital tools will welcome a new advisory network established recently. A network of producers and advisers has been developed to support farmers using the web-based RamSelect tool and DNA Flock Profile testing from the Cooperative Research Centre for Sheep Industry Innovation or Sheep CRC. The Sheep CRC has established the network to assist producers in creating RamSelect accounts and upload ram team records to benchmark their genetics against industry and track the performance of their genetics over time. 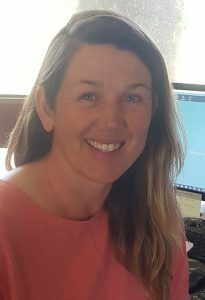 Victorian farm consultant Belinda Steers said there was strong interest from sheep producers eager to make use of new technologies, but who needed a helping hand to get started. “Over the last 12 months I’ve been showing a lot of people RamSelect and how it can work for their business, and how the flock benchmarking system can be linked to the DNA Flock Profile test. “The people I’ve shown it to have been really impressed by it and they’re the sort of people who are wanting more information in order to make better decisions,” Ms Steers said. Ms Steers works with producers throughout Australia establishing electronic identification and data management systems that can present more meaningful information when making management decisions. She said her clients found the ram benchmarking facilities within RamSelect particularly useful, which was in turn prompting interest in benchmarking the ewe base through the use of the DNA Flock Profile test. “So many producers have an idea of what their sheep are, but they don’t have the precise information they need to make better decisions and that’s what RamSelect and the Flock Profile test provides,” she said. RamSelect accounts – which allow producers to benchmark their ram teams and track their flock’s genetic progress against industry averages – can be purchased online for $25/year + GST. All producers who purchase DNA Flock Profile tests will automatically receive a free 12-month RamSelect user account, where test results are stored. To find your local support provider for creating a RamSelect and uploading ram team histories, contact Melanie Dowling melanie@dowlmanagribusiness.com or call (07) 4697 7653 / 0409 295 599. More information is available at www.ramselect.com.au.